Saba’s 2017 Sea and Learn Conference is annual event taking place this October. If you miss the opportunity for villa rental in Saba, CaribbeanDays is working on making more villas available for this event in St Martin/St. Maarten, which is only a 12 minute flight from Saba. Dimitri Deheyn is a Marine Biologist that develops solutions in biomimicry. That is the process of copying nature to support green and sustainable solutions. 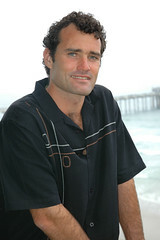 At the Sea and Learn Conference, he will be covering biomimicry for Oceanography solutions.